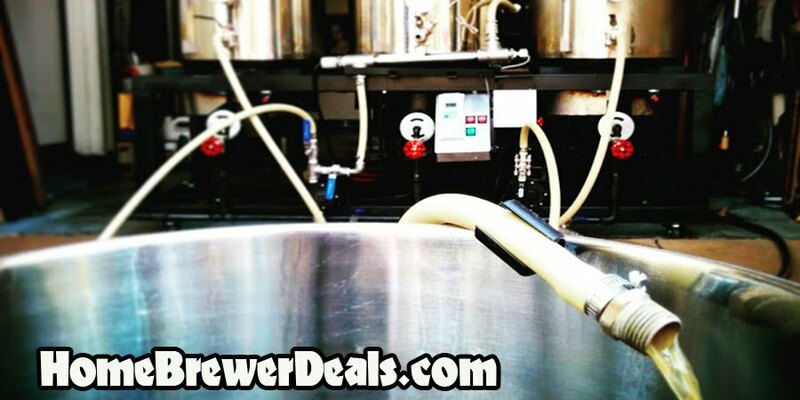 Coupon Description: MoreBeer.com currently has a coupon code that will get you a 14 Gallon Temperature Controlled Stainless Steel Conical Fermenter $1549. This is More Beer’s flagship stainless steel conical fermenter for home brewing. You can ferment 10 gallon batches of home brew beer in these beautiful stainless conical fermenters, and control the temperature of your fermenting beer to within 1 degree, any time of the year! This stainless steel conical fermenter includes a Dual-Stage Controller that will simultaneously control both the cooling unit and the 40-Watt heater. The cooling unit mounts to the outside of the cone with no internal contact with the beer. The cooling is extremely gentle on your yeast, changing wort temperatures at about a degree an hour. It can get to and hold your ale fermentation temperatures of 65-72F even in ambient temps of 100F. In addition, it can get to and hold lager fermentation temperatures of 48-52° Fahrenheit all the way up to ambient temperatures of 80 Fahrenheit.